Why Purchase a Fly Rod from Blackfoot River Outfitters? Blackfoot River Outfitters has a wide selection of the best fly rods to meet your needs. 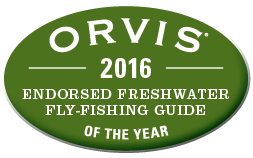 We carry fly rods from Orvis, Burkheimer, G. Loomis, and more. 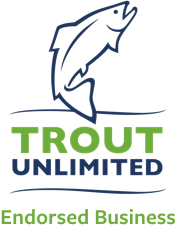 Whether you’re fly fishing for trout or tarpon, we have what you need. Plus, when you buy a fly rod from us, you’ll get free shipping on orders shipped to anywhere in the U.S. and will pay no sales tax! We also ship internationally. All orders are processed within 24 hours. Keep us in mind when the time comes for your new fly rod! If you’re a well seasoned angler you may know exactly what you want. Simply purchase your fly rod and we will ship it within 24 hours. 1. Do I need a freshwater or saltwater fly rod? You’ll want your fly rod to be built with anti-corrosive materials if you’re fly fishing in saltwater. 2. Do I want a single-handed or two-handed rod? Typically, two-handed rods are used for targeting anadromous species, but do not overlook them for land-locked species like trout and smallmouth bass. 3. What species am I targeting? This will help determine the weight of the fly rod. Here are some general guidelines: Trout and Small Panfish – 1-6 weight; Smallmouth, Largemouth, Carp, Bonefish, Jacks, Sea Trout – 6-9 weight; Permit, Snook, Redfish, Striper, Muskie, Pike – 8-11 weight; Tarpon, Giant Trevally, Sailfish – 10-12+ weight. 4. What type of flies am I casting most often? This will also help determine weight, but also the action of the fly rod. General rules of thumb: Dry flies – 1-5 weight / slow to fast-action; Nymphs – 2-5 weight / medium to fast-action; Streamers – 3-6 weight (freshwater), 6-12+ weight for big game freshwater and saltwater / fast action. 5. What type of water will I be fishing (i.e. small creek, river, big river, pond, lake, ocean, etc.)? Answering this will help determine the length and action of the rod. For small streams with a lot of overhanging brush you will want a shorter rod with a slower action so you can cast from under canopy or roll-cast with ease. For bigger water with fewer back-cast restrictions, a longer rod will allow for better line management and a faster action will easily power through wind. Contact us if you have any questions at all. We want to help ensure your fly rod is a good fit and will enhance your experience on the water.